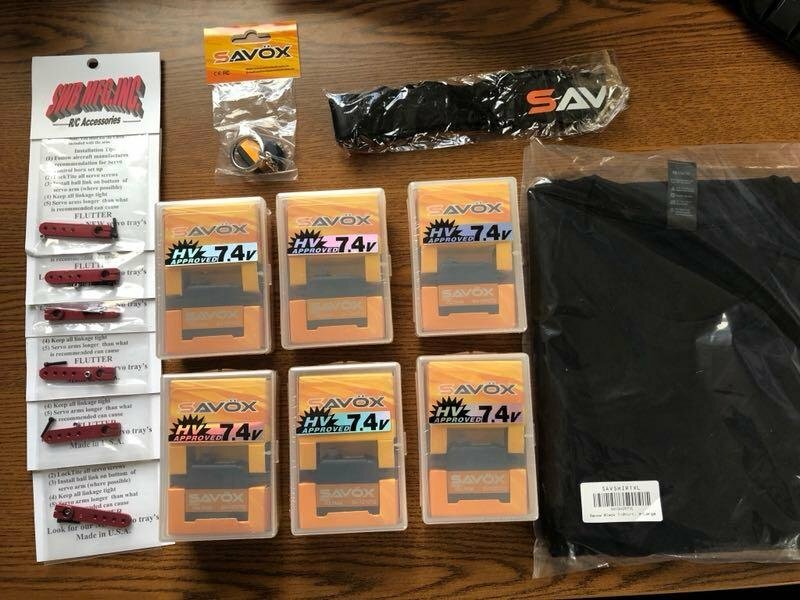 (Lot of 6) SAVOX 1270TG .11sec 487oz @7.4V FREE Savox XL shirt, lanyard, key chain. plus (6) FREE 1.5" SWB single arms. 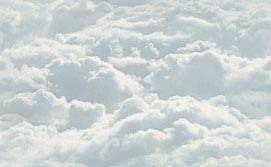 FREE USPS priority mail shipping! Call text or email 314-256-9987 or ibcinyourc@hotmail.com pay-pal ready or cc over the phone. 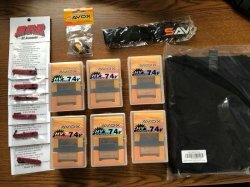 Savox SV-1270TG Digital High Voltage Monster Torque Titanium Gear Servo-savsv1270tg. -Extremely powerful for its size pushing 486.1 oz-in torque. -Super strong and precision made titanium gears provide high level of durability that will survive heavy use. 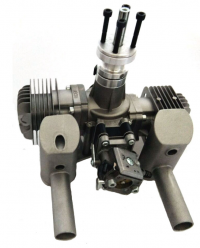 -Coreless motor brings output performance to the top level smoother, faster, and more efficient. 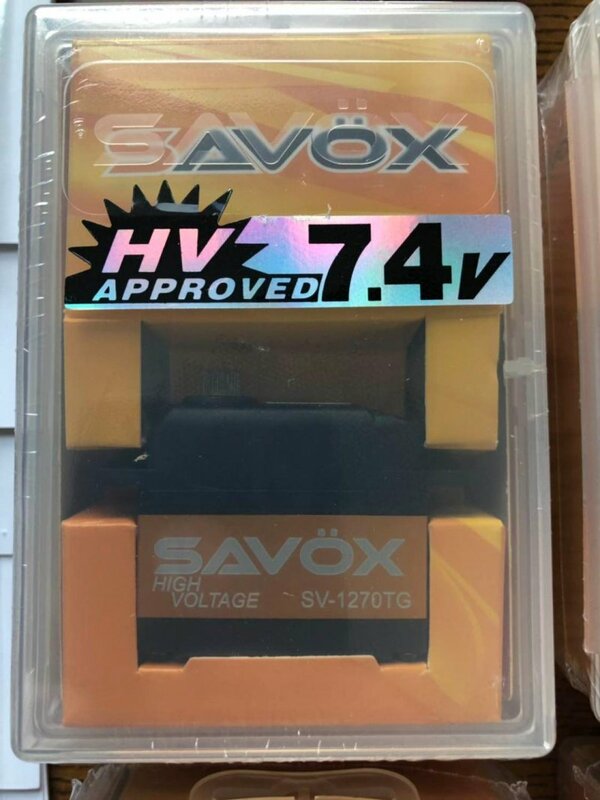 -Special design for high voltage native 2s LiPo operation. -Water-proof with 4 silicon seals. 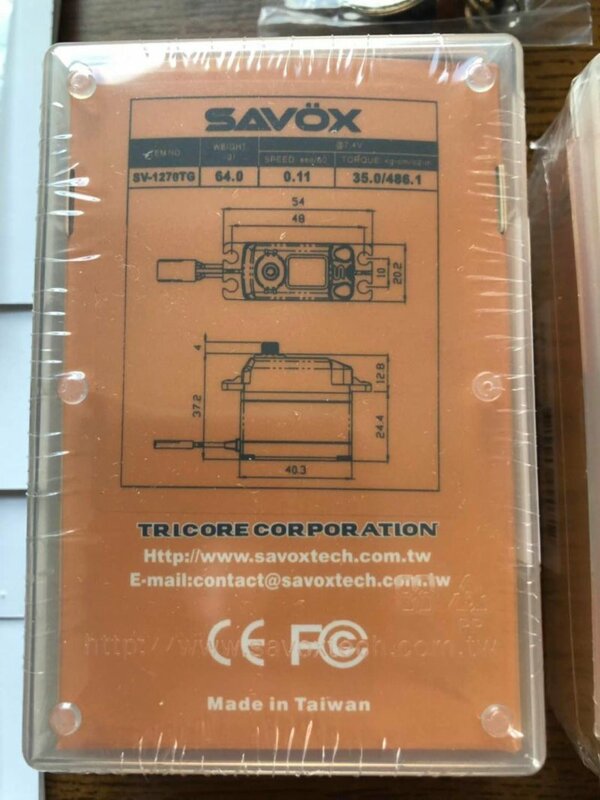 -Our servos are totally green from materials to production, these servos are environmentally friendly.